A Checklist for First-Time Raleigh Home Buyers | Puck Realty, Inc.
Is this the year you make the transition from renter to Raleigh homeowner? As a first time homeowner, it’s important to know what you’re in for. 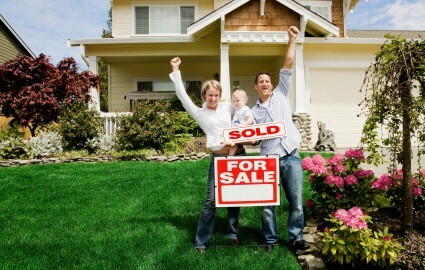 Below are six questions to ask yourself before taking the plunge to owning a Raleigh home. Owning a home is a serious commitment. Before buying here in the Raleigh area, you have to think about the responsibilities that come with owning a home, such as home repairs and yard work. Being a homeowner often times has unexpected expenses so it’s important that you have a stable job with a steady income. Do you have a “must have” list? If you start looking for a Raleigh home that is completely flawless, you are setting yourself up for disappointment. It’s important that you have a list of items that you are willing to work with, and those that are an absolute deal breaker. For example, are you willing to buy a house that needs serious renovations but is in a great Raleigh location, or would you rather a home that only needs minor updating in a less than ideal neighborhood? Besides mortgage payments, you will need to consider your down payment (ideally 20%), as well as any other home maintenance fees. Plan to put aside about 1% of the purchase price every year as an emergency fund for those unexpected homeowner projects (read: leaky roof). If you are looking to get a loan to help pay for your home, it’s a good idea to get all the necessary paperwork together ahead of time. Gather your proof of employment, W2 forms, and any bank or investment statements. Also have your landlord’s contact information readily available. It’s important to make sure you are pre-qualified for a mortgage before you start looking at homes. Using the paperwork you compiled earlier, you can simply apply to become pre-qualified for a loan – which is necessary for most sellers to take your bid seriously. If you take the extra time to get your credit pre-approved, you can increase your chances of getting the home you want. As a first time buyer, there are going to be questions you don’t know the answers to. It’s important to have a support group around you to assist you in this process. Find a trustworthy real estate solutions company, or assemble a group of trusty family and friends who will give you honest feedback. When you are ready to move ahead with your decision, give us at Puck Realty a call at 919-842-5900 to help you make your dreams of home ownership come true!